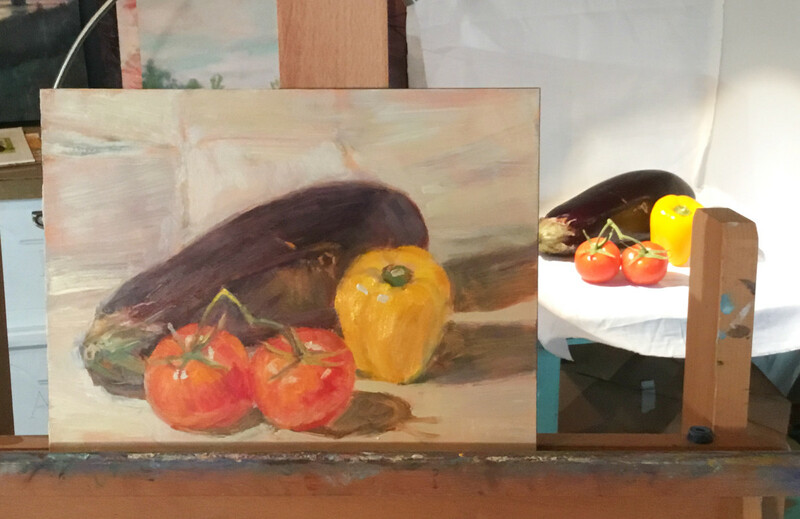 Step-by-Step still-life oil painting completed in one session or alla prima. 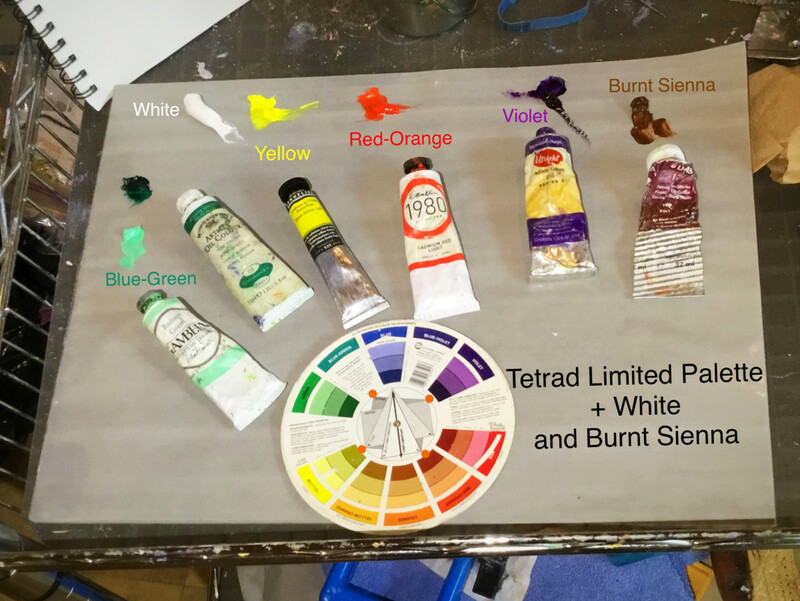 Video showing the painting process and how to chose the colors of the limited tetrad palette. Description of each step and the thinking behind it. What Is the Alla Prima Painting Process? 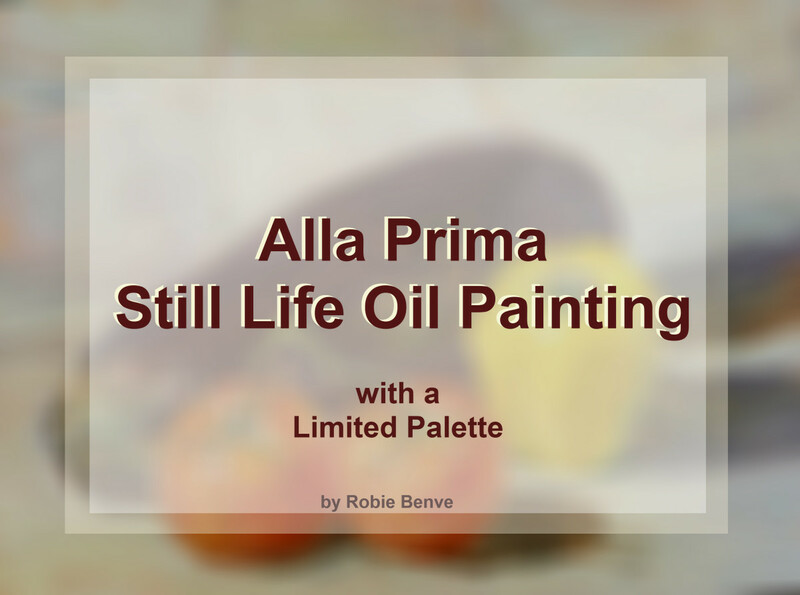 Alla prima is an Italian term that literally means “at the first." Its definition is a painting completed in one session by applying the paint wet-in-wet. This is my favorite way of painting, but it did take me a while to feel comfortable with it. 1. Start by toning your support. 2. Wipe away the lights. 4. Create a loose underpainting. 5. Add strokes to fill bigger shapes. 6. Add details and texture. When I hesitate, I do not paint. When I paint, I do not hesitate. The tricky part about wet-on-wet is that you risk that the different layers of paint mix on the support while you paint on, which can end up with a muddy look. A direct, unfussy application of brushstrokes will avoid this problem. The great advantage of this style is the freshness and spontaneity of the finished artwork. When working alla prima, the blending of paint on the support should be kept to a minimum. Do so only with very specific aims in mind. For example, I blend paint when I paint a sky because I don’t want hard edges in it, especially at the beginning stage of the painting. 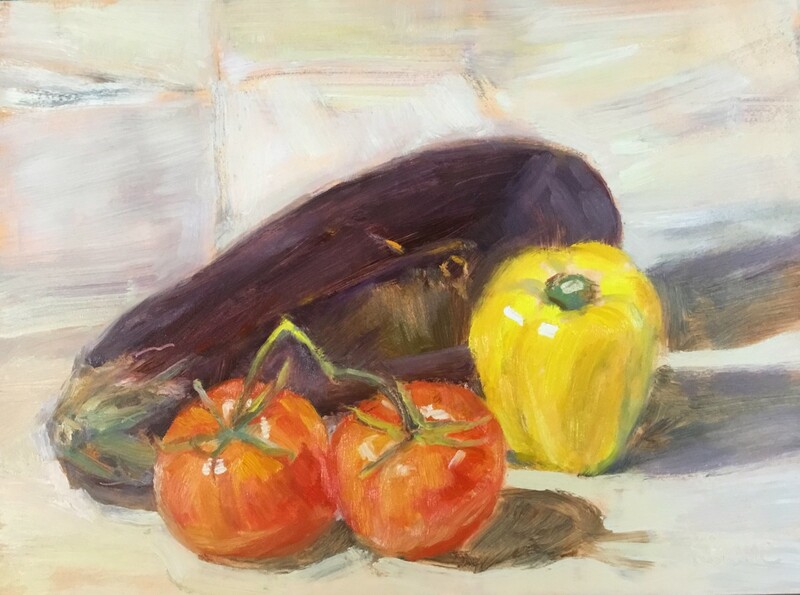 In still life, though you want some lost edges, try to apply brushstrokes and leave them alone. Don’t go over correcting them or blending. 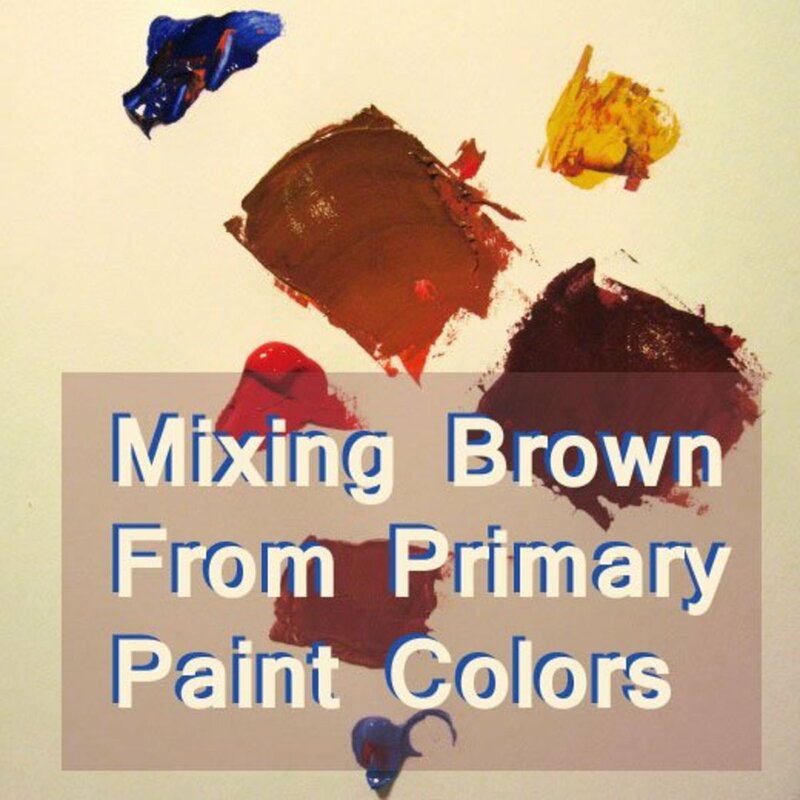 Spend a little more time making sure you are mixing the correct colors. Then, apply it and let it be. If a color is totally wrong, you can always correct it later on in the painting. 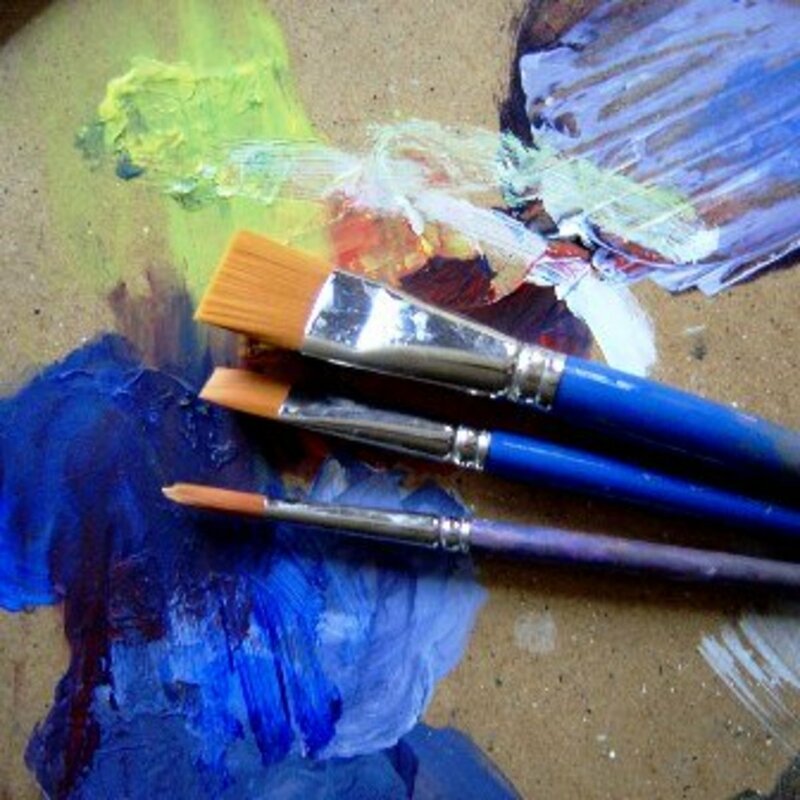 In the beginning, have no fear of mistakes—just keep applying your carefully mixed paint. Many times we destroy our work by going back over it again and again. I tell my students, the more strokes it takes, the more mud it makes. Before you get started, you may want to tone your canvas or board with a ground color. The choice of color is up to you. I like to use a warm color like Burnt Sienna or the color of the main elements of the composition. You can pre-paint the tone with oils and let it dry, or even use acrylic paint. Spread the paint thinned with solvent, but don't let it be too runny. In the video above, my paint was a little too runny for the smooth gesso board. If you are working on a wet ground, use a rag to wipe off the areas that are going to be your lightest lights. This will get you started placing your objects and establishing the proportions. I like to limit my drawing to a few lines of reference. I do this with thin paint using a color that has enough contrast against the ground and is somehow representative of the final color of the object. I also like to vary the color of the drawing depending on the object. For example, if I was drawing a bunch of grapes, I'd vary the drawing color every few grapes, inspired by the different light or reflections on them. There are two main ways to get started painting. For both, the intent is to place the main elements of the composition, while establishing proportions and tones. A. Monochromatic. 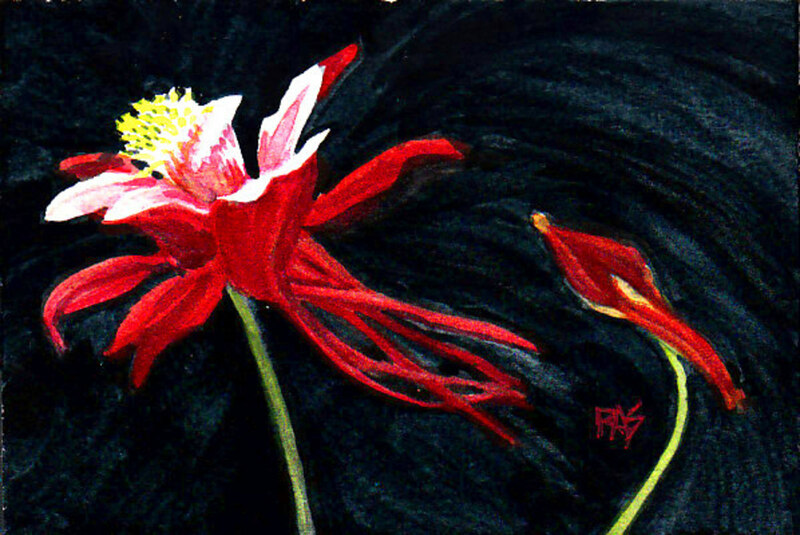 Some artists establish the darker areas by creating a tonal underpainting of one color used thin on the light areas and a little thicker on the dark areas. It's a great starting point for your darks and lights, in fact, the monochromatic underpainting will be your guide as you mix paint colors and provide a reference for the value or tone of the paint. B. Polychromatic. While I think the monochromatic system is fine, I like to start painting each object with a thin version of the local color. To do this, mix and apply a thin coat of the object's color all over its area. When in doubt about tone, pick the mid-value of that object. Finally, you can start applying thicker paint to create the local color of objects. Observe the different areas of the object and try to match the shifts in color, tone, and temperature. Mix the colors you need on the palette, trying to avoid color mixing on the support. Apply fluidly, without rubbing the colors in or dabbing too much. In the beginning, use bigger brushes. Apply direct, sure strokes and let them be. Ignore details. Instead, apply broad areas of color. It’s ok to add paint medium or thinner to the paint, but don’t make it too runny. Keep in mind the fat over lean rule. When painting with oils, it’s important to remember that thinned paint dries faster and contains less oil. Oil paint dries by oxidation, with happens when paint comes in contact with the oxygen in the air. 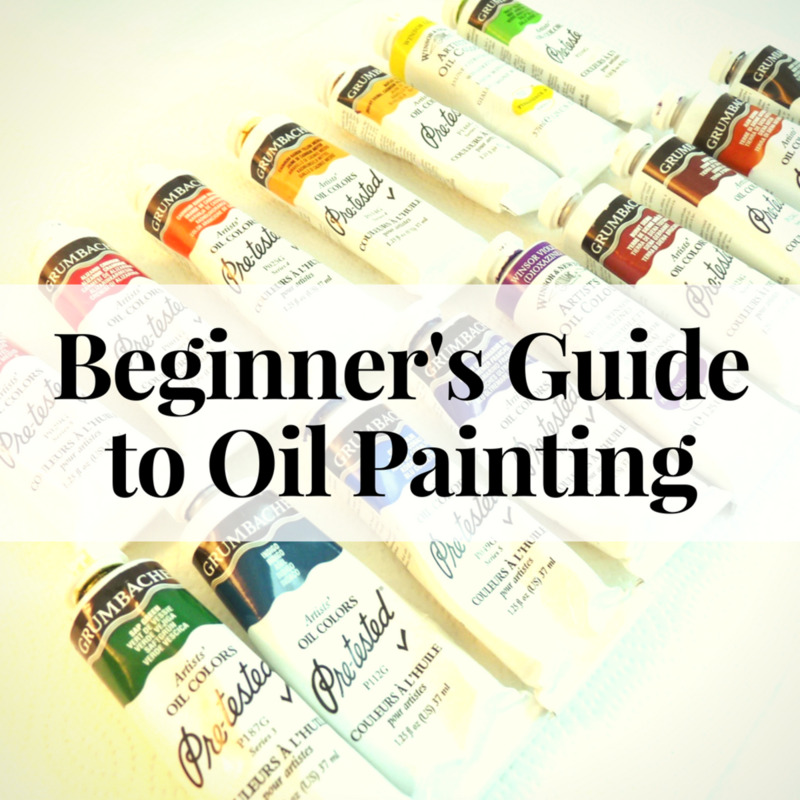 During the drying process, the oil in the paint expands a little at the beginning and shrinks later on. Lean layers of paint don’t expand as much, so if they are applied on top of fat layers, the expansion of the lower layers will make the upper layers crack. This is why you want to apply thinned paint first and oilier paint later in the process. Once you have all your main elements blocked in, you can switch to smaller brushes to add details, highlights, and texture. Pick and choose the details that are most important for the composition. 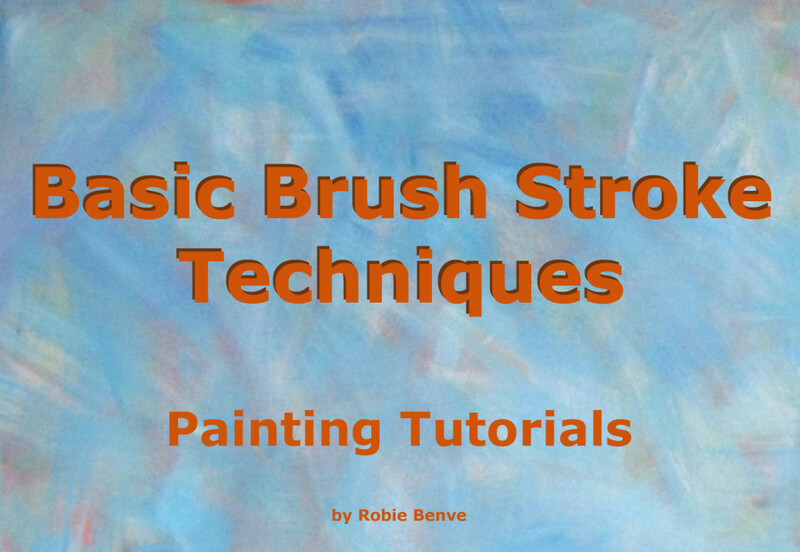 Avoid overworking the painting by adding too many small strokes. Try to preserve the freshness. Apply relevant details with precise brush marks. You may also use painting knives, scrapers, your fingers, or any other tool that could be suitable to get the effect you are after. When choosing the colors to use in the painting, I used the color wheel to help me pick. 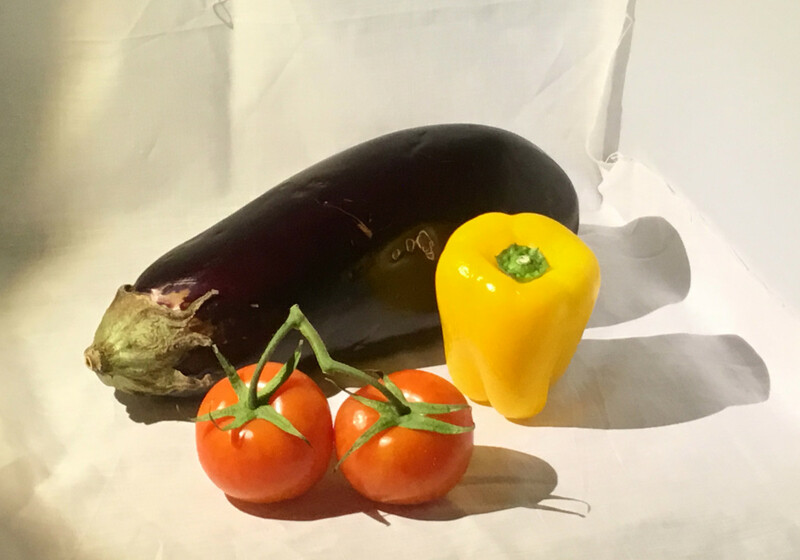 I knew I wanted a yellow for the pepper and a red for the tomatoes. I saw a tetrad color scheme that was just perfect. Tetrad: Four colors that form two sets of complementaries on the wheel. Burnt Sienna (belongs to the red family) I used this for toning and to darken and dull when needed. Looking at my color wheel, I focused on the tetrad schemes. There is an upper disc on the wheel that rotates, and you can create color schemes based on the diagrams in the center. For the tetrad, you either follow the indication of the square or the rectangle. I chose the square with one corner on the yellow because it allowed me to maximize the colors that were most suitable for my composition. I don't consider myself a master artist, but I enjoy sharing what I know with others. I wrote this guide hoping that it will help beginner artists in their creative process, not because I believe I “know” how to paint. Hi Robie.The initial mix of something,taken from the light area,i tend to mix the most saturated colour.would you grey this intial mix down slightly and use it to represent the light side when blocking in light and shadow,with the intention of using the more saturated mix on top of the greyed version,or would you use the most saturated version for the initial block in.Its just that when i mix for something my initial mix is usually the most saturated version from the light side im not sure if this mix is the actual local colour as they say the local colour is the colour of the object viewed in a more even light.so if i grey the initial mix is this more like the local colour? Ciao Adri! I did not make eggplant parmesan but I surely ate those veggies, lol! I actually used the eggplant to make a pasta with ricotta salata, came out very good, yum! Thanks a lot for your comment, I hope one day you can resume painting. Ciao Robie! I enjoyed reading this. I used to paint with oil a while back but rarely have the time now. I like this technique because it's done in one session! 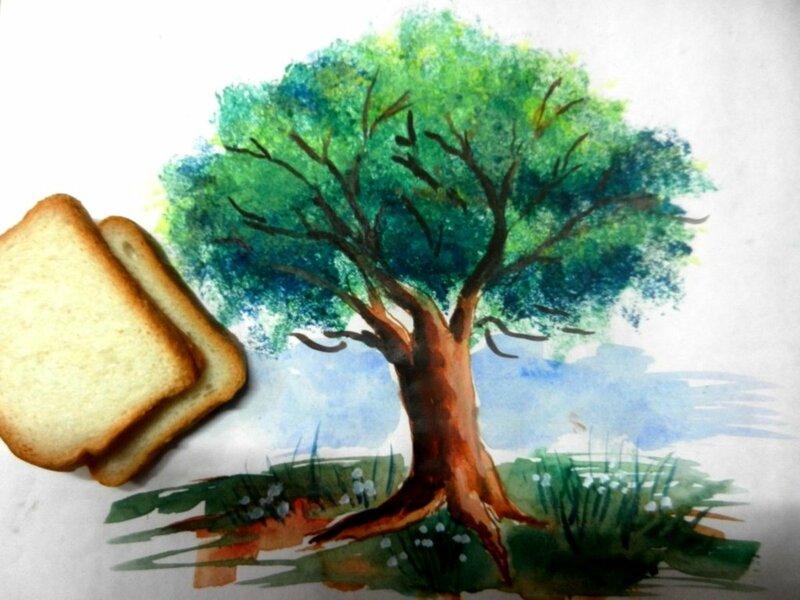 Enjoyed your video and the painting looks realistic. I feel like baking some eggplant parmesan now. Hi Linda, how wonderful that you found it enjoyable and informative! I'm also thried that you liked my video, that's a totally new thing for me. Thanks so much for taking the time to comment. Hi Bushra, yes this technique does work with acrylics as well, though some aspects of it are easier with oils because the paint stays wet for a much longer time, and you can wipe off and blend until the end. 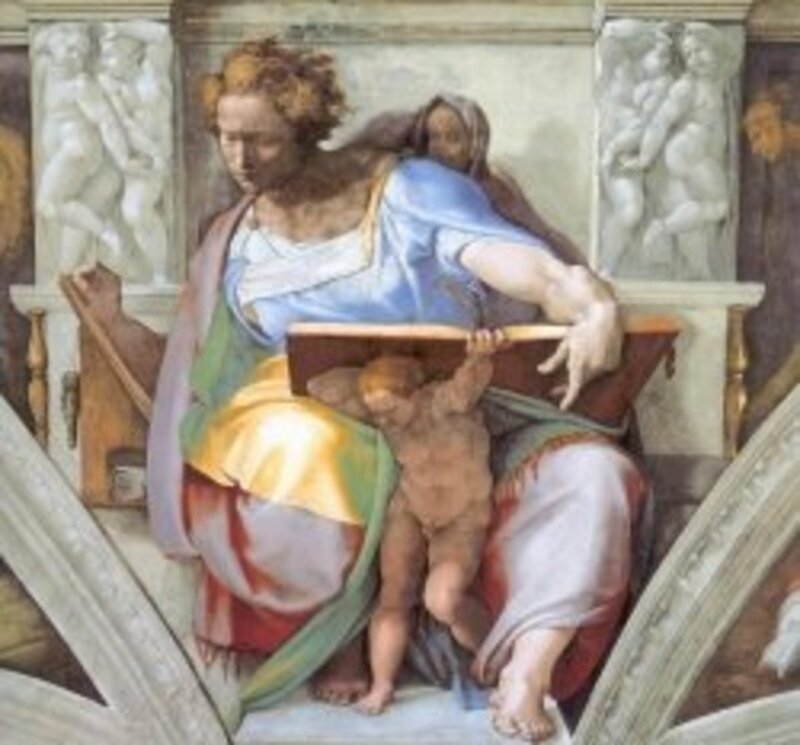 You may draw with pencil or charcoal before the under-painting, but be aware that the drawing will most likely smear with the first paint application, Also, many times the graphite ends up mixing with the paint and stays visible in the final product. To avoid this, I'd spray the drawing with a fixative, and start painting when the fixative is dry. Great questions, thanks! Hi Leah, there are other reasons why a painting cracks, but not following the fat over lean rule is definitely a big cause. A lot of the old masters' paintings that we see in the museums are cracked too though, so no reason to throw away a good painting. :) Thanks! The information that you've shared is all new for me. I enjoyed reading the article very much. I enjoyed watching the video, too. Thanks for the education! This is an awesome article, and that painting looks so good. Question, does this work with acrylics? Also, could I use a graphite pencil to sketch my preliminary drawing before the underpainting? Hi Dbro, I'm happy to hear that the info can apply also to other mediums, I wasn't thinking about that while writing the article, but now that you mention it it makes sense. :) Thanks!! I really love your tip about "fat over lean." I have an oil painting in my house and I wondered why the paint was cracked in some areas - the thickness of the paint clearly matters! Excellent article, Robie. Hi, Robie! It's been a while! I enjoyed this article very much. Though I work in watercolor, much of your advice/instruction is translatable to my medium as well. Thanks for writing this informative piece. This was informative. We go to paint nights from time to time so finishing in one sitting is obviously implied but I've never been any good at it. Next time perhaps I'll shock em'. Very nice job on the video too!